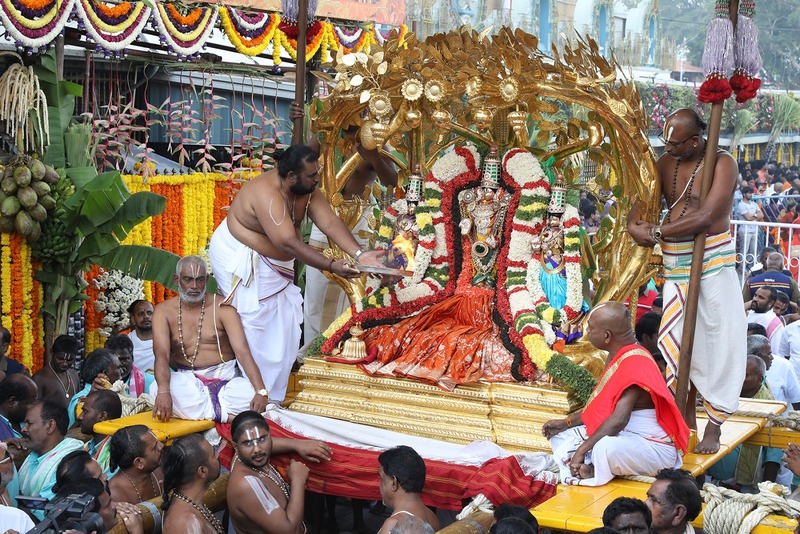 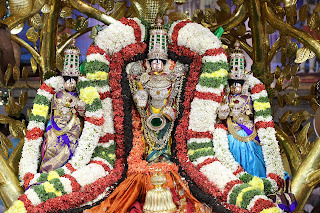 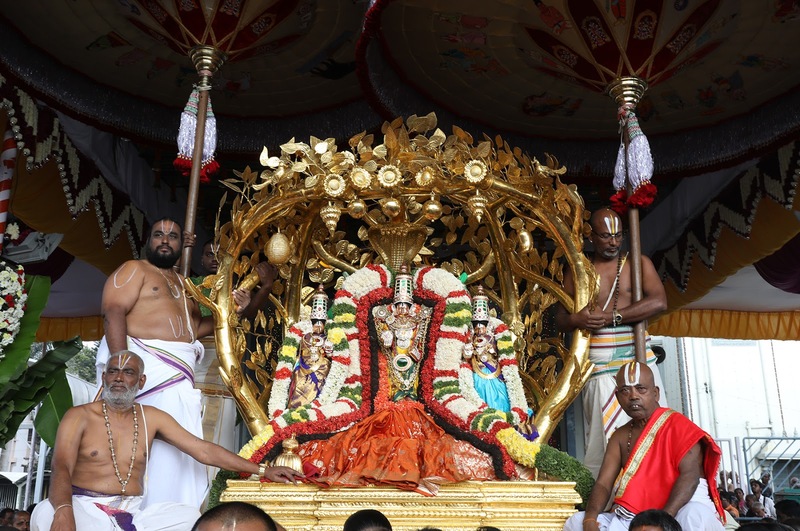 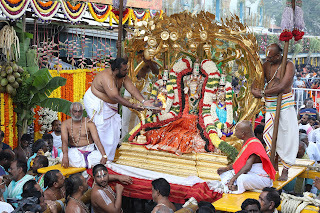 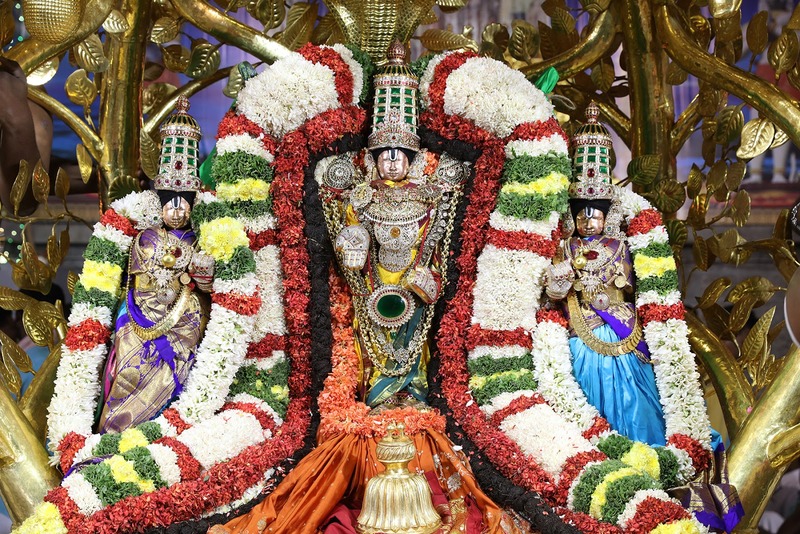 TIRUMALA, 12 February 2018: Processional diety of Lord Malayappaswamy along with His consorts were taken around in procession on KALPAVRUKSHA VAHANAM from 4.00pm to 5.00pm in connection with Radhasapthami Festival in Sri Vari Temple, Tirumala. 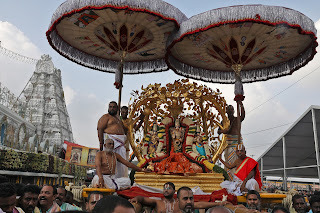 Kalpavruksha Vahanam (from 4pm to 5pm) Lord will took a colourful ride on the Kalpavruksha Vahanam-the celestial tree, the tree which grants boons and fulfills the desires. Lord Malayappa Swamy decorated tastefully, graces the devotees along with his two consorts, Sri Devi and Bhu Devi.